Europe, 1943. 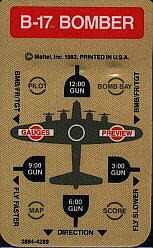 You control a B-17 Flying Fortress. Your mission: select a "target of opportunity", fly to it, drop your bombs and return safely to base. 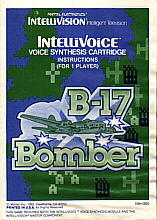 Enemy fighters try to shoot you down - and flak bursts in the sky as you start your bomb run. The voices of your crew announce approaching fighter planes and targets, as you play pilot, machine gunner, bombardier and navigator. Keep ´em flying!